Nutrition: Why is it Important? Nutrition is the study of nutrients in our foods, how they are used by the body, and the relationship between nutrients, health and diseases. Apart from foods, supplements are another source of these ingredients. Good nourishment aims at providing all that is necessary for proper growth and development. 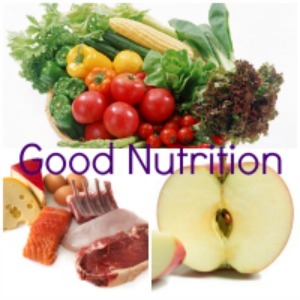 The nutrients required by the body include carbohydrates, vitamins, protein, minerals, fiber and water. It teaches us how various foods work in our bodies and how to develop and maintain a state of health. It also enlightens us on how to eat the right amounts of foods in their right combination. Planning is necessary if you want to realize optimum health. The use of a diet plan to guide what you eat daily is a good practice of ensuring that you give your body all the nutrients it needs. One thing that I will underline is that you need to eat healthy foods. Healthy natural foods should be the primary pillar for our health. Supplements should not at all replace food. They should only fill out the nutritional gaps that our diets cannot fulfill. In pursuit for healthy living, you need to figure out how much food you should be consuming each day in order for your weight to do what you want it to. Some of the factors that affect how we eat include: weight loss, weight gain, and weight maintenance. In order to realize weight loss, one has to consume less calories than those needed by the body. To gain weight, take more calories beyond those your body needs. And for you who want to maintain weight, consumes as much as those that your body needs- not less or more. A child has specific nutrient needs that must be met to ensure normal growth. Human milk and infant formula have all the nutrients that the baby needs for proper growth and development. This is the best food for normal growth of the infant because of its composition, digestibility and anti-infective properties. Its composition is variable. The first milk, colostrums, is slow in volume and high in proteins, especially immunoglobulin A, as well as vitamin A and zinc. As the volume of the secretion increases, its composition modifies to ‘transitional’ and then ‘mature’ milk. The volume produced and the precise composition of breast milk vary between women, over time and by time of the day. It contains cells which protect the infant against infection in the first month of life. Lactobacillus and bifidobacterium spp promote lactic and acetic acid production from lactose, which discourages growth in the large bowel of potential pathogens such as E. coli and shigella spp. Lactose, the main carbohydrate in milk, accounts for approximately 40 percent of total energy and facilitates calcium absorption. The protein present is 30-40 percent casein and 60-70 percent whey. Whey protein includes lactalbumin, lactoferrin and lysozymes. Casein is a mixture of proteins bound with calcium. Casein forms smaller micelles with looser structure than the casein of cow milk, which facilitates digestion. Nutrient binding proteins such as lactoferrin (which binds iron) facilitates absorption of some specific nutrients. The quantity of fat in human and cow are similar. However human milk fat is higher in unsaturated fat, particularly the essential fatty acids linoleic and α-linolenic acids, and also contains the long chain polyunsaturated fatty acids arachidonic, eicosapentaenoic and docosahexaenoic acids. The fats in the human are more readily digested and absorbed than those from the cow. Most infant formulas now contain mainly vegetable oils with rather different proportions of fatty acids than those found in human milk fat, which partly depends on maternal dietary fatty acid content. Human milk has a high level of cholesterol and carnitine, which is involved in mitochondrial oxidation of fatty acids. Digestion and absorption in preschool children enable them to consume the same foods as adults but their nutrient needs and feeding skills are different. Children have a small stomach thus this limits the amount of food taken at any one meal. They should therefore be fed three meals a day and perhaps two between meal snacks, with one snack or meal close to bedtime. The recommendations for adults to consume less than 35% dietary energy from fat do not apply to young children. The transition from more than 50% dietary energy derived from fat provided by exclusive breast feeding to more than 35% energy derived from fat should spread over the first five years of life. Similarly adult recommendations for fiber intake should not apply in early childhood since high fibre content lowers food energy density and phytates reduce absorption of micronutrients. Diet with less than 30% energy derived from fat are quite common against preschool children who consume large quantities of juice and sweets instead of meals of varied content. They are likely to lead to failure to thrive if prolonged. Persuading children to eat family meals is not always easy. Children are often reluctant to eat green leafy vegetables, partly due to inexperience with chewing. Physical activity is a fundamental factor for the health of young people. These can involve mostly the out-of-doors activities since these are what most young people prefer. Scientific research provides that physical activities reduce the risks associated with onset of chronic illnesses during later years in life. The number of elderly people is increasing rapidly in the word today, thus creating a need for a more complete understanding of the role of nutrition in the prevention and treatment of chronic disabling diseases in the elderly. The dietary patterns and foods for elderly people who have good health are no different from those of younger people. However, lack of enough nutrients is a potential problem among elderly people and especially in the oldest age groups. Anorexia and weight loss are common clinical problems in the oldest aged individuals. The causes are multifactoral, predisposing to protein-energy under-nutrition and medical factors, some of which are responsive to treatment. Older people should be advised to eat a balanced diet containing a variety of nutrient-dense foods. They should be encouraged to lead an active life, especially after episodes of inter-current illness. Good nourishment is necessary in you want to develop and maintain a healthy status that is optimal for you. Failure to meet your nutrient needs during young years makes it more likely for you to suffer health consequences related to poor nourishment habits in later years. Such include bone fractures as a result of osteoporosis. Research studies teaches us that if you take too much of something, it will eventually harm you. For instance, consuming excess vitamins is harmful to your health. Individual who drink too much alcohol should be cautioned since this is linked to liver cirrhosis, suicide, and some types of cancer. These health conditions are as a result of excess consumption of one substance or the other. While most of these conditions can be prevented, the influence of these substances like alcohol is eating many people slowly. Further, aging fast or slow can be a nutritional decision. As you gain understanding about your nutritional habits and increase your knowledge, you have the opportunity to dramatically reduce your risk factors for many common health problems. Copyright © 2011-2014 Nutritional-Supplements-Solutions.com. All Rights Reserved.